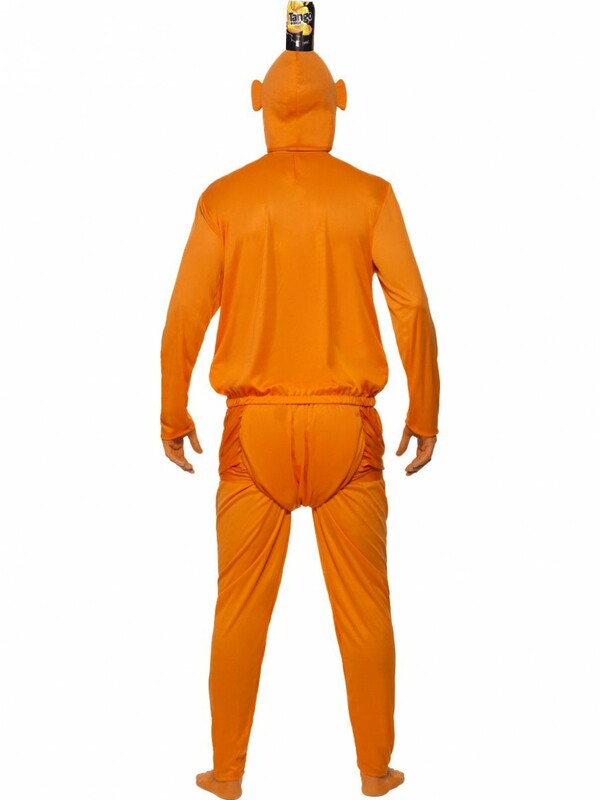 A fun licenced Tango Man Costume; this outfit includes Top, Trousers and Headpiece, ideal for 90s/Comedy fancy dress! 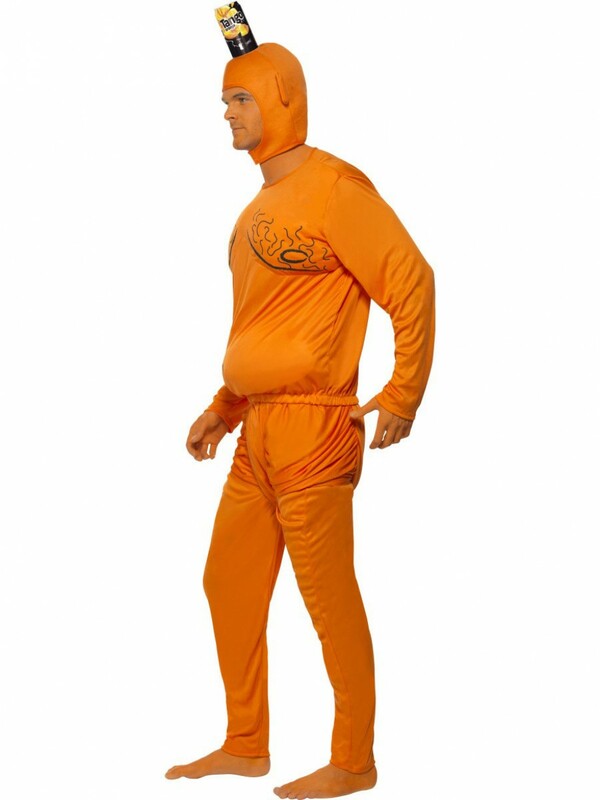 Prepare to blow people’s minds’ with this truly unique licenced Tango Man Costume, ideal for Comedy/90s themed fancy dress. The costume includes Top, Trousers and Headpiece. The tangy orange top is slightly padded with black printed chest hair and belly button detailing on the front. In addition to this, the matching orange trousers are in the form of a Sumo Wrestler, as most people will remember from the infamous 90s advert. These are full length trousers with a ‘nappy’ style around the crotch area. Also included in this brilliant costume is a fantastic Tango headpiece. This fits around the head like a wrestler’s headpiece, however the twist on this, is that the orange headpiece also has a tango can placed on top to add the finishing touch to this amusing outfit! This remarkable Tango Man Costume is unique in its own right, serving as the perfect costume for any 1990s/Novelty/Comedy themed fancy dress occasion! Tango Man Costume including Top, Trousers and Headpiece.